Need a valentine idea for your boy(s)??? 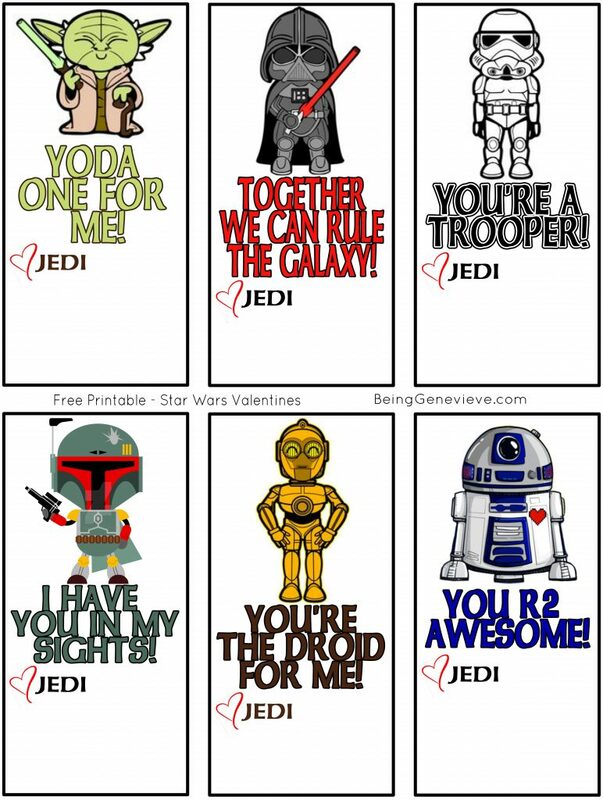 Well, after finding out that I will need 37 valentines total between my 2 boys and that each box of star wars valentines only contains 16; I will need 3 boxes. Costing me $28.20 ($9.40/box) for printed paper valentines that just end up in the garbage is just ridiculous! 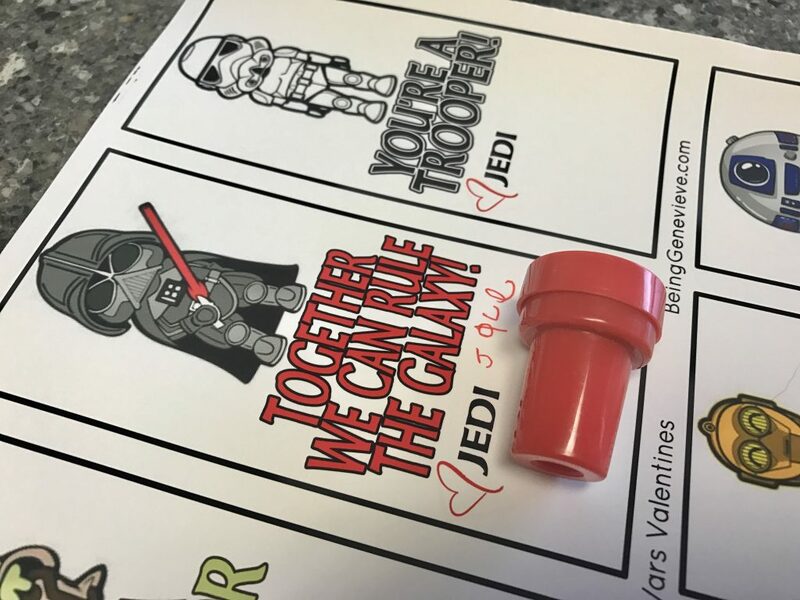 So the boys and I just put together these star wars valentines and will tape a cool pre-inked Star Wars stamp on the bottom. Costing me $20 for 60 stamps, which is much cheaper and much cooler than just a piece of paper. Order your stamps on Amazon Prime shipping today and you will get them Thursday night, perfect timing for having them ready for Friday school valentine parties. Cute, cute, CUTE!!! Thanks so much for sharing!!!! Thank you so much for these adorable printable Valentines! They printed great and all the details are perfect. You saved this Mama’s boy from a disappointing Valentine’s Day at school because his parent has the flu (and couldn’t go out to get store-bought cards for the past few days)! I’m so glad they turned out well! I’m sorry you have been sick, please feel better. I had a nasty sickness last week. You shouldn’t have to have a special program to download them. They are just a standard PDF file. I could email them to you, if you would like. Just send me an email with your email address. I’m also having trouble with the download like Janet above. Anyway I can get off emailed to me also? I will email it to you. I am currently not at home and away from my computer. I should be home in about an hour. I will look into the download and see why it is not working. Thank you.